Recently the national currency in our country significantly devalued. This gives us the opportunity to announce a price reduction of up to 20%. In the future, we will monitor the change of the national currency and to adjust the prices of our goods in the online store and also on Ebay. 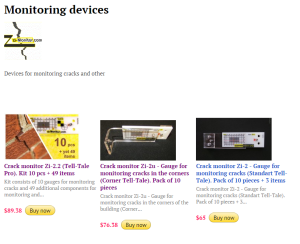 Please note, that the price of zi-Monitors on Ebay greatly higher, than in our online store. This is due to the high commission charged per trade on this site. That cost a month ago at Ebey $ 144, now you can buy from us for $ 110-115 including postage. This is a great offer may end soon, and prices will rise again, if an increase course of our national currency. This entry was posted in News and tagged Ebay, news, online store, price, zi-Monitor. Bookmark the permalink.